Most cruise lines open reservations on their sailings up to 1.5 to two years before the departure date, which means you can book your trip well in advance. If you know exactly where and when you want to go, this can often be the best choice, as it gives you the most options on everything from itineraries to dates to cabin categories. You’ll get the early bird rates, which can be up to half off the listed rate. And by booking early, you avoid restrictions that cruise lines enact closer to sailings, such as limiting cabins to just two passengers when the ship is at maximum capacity. The wave season — the most popular booking period — traditionally ran between January and March, especially for Caribbean sailings. But the growth of Alaska and Europe as cruise destinations has widened the booking period. Popular but remote destinations and areas with a limited cruise season — such as Alaska, where ships don’t sail in wintertime — tend to fill up fast. A general rule is the farther away the destination, the further out you should book, because more planning is required, from airfare to hotel reservations. When booking cruises to Alaska, exotic destinations like the Galapagos Islands or Australia, and some European locations — especially in the Mediterranean and Baltic routes that include St. Petersburg — plan ahead so you can get your preferred route and cabin location. For example, the starboard cabins with views of the coastline sailing north to Alaska can sell out 15 to 18 months before those on the port side. However, placement may not be as important as getting an outside cabin. According to Chiron, the ship is usually too far out to sea to see the coastline for more than a day, and once in Alaska, there’s usually land on both sides of the ship. Other cruises where it’s a good idea to book at least six months in advance are summertime river cruises, which often sell out for the season before spring, and launches of new ships, which have the latest features and tend to fill up quickly. “Being flexible is the best way because every sailing varies by ship and sailing date, so check a few dates before and after you want to travel,” suggests Chiron. You might end up seeing a difference of hundreds of dollars in price for a sailing even just a few days later or earlier. 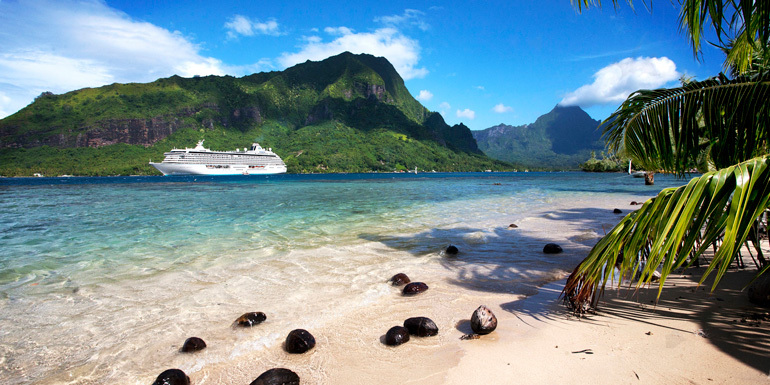 Tip: Use our Price Alert feature to stay on top of price drops for your favorite cruises. 5. Book last-minute to get a deal. Tip: Check out our Last-Minute Deals page for a full list of the biggest price cuts in cruising. When have you gotten your best deals?